Having oily skin can sometimes be a hassle. A face with full makeup on after a crazy night out often results to an overly shiny face stained with melted makeup. However, a way to counter this is to choose the right concealer that works well with oily skin. Whether you’re using them for full-face coverage or topical coverage, here's a list of suitable ones for you. For those new to makeup or on a tight budget, this Maybelline Fit Me Flawless is the way to go. Its non-comedogenic formula works well with oily skin without burning a hole in your pocket. However, it will not last you a whole day, but its pocket-size packaging is perfect to bring around for a quick touch up throughout the day. This BECCA Ultimate Coverage Longwear Concealer will help you with your acne-scarred skin. With just a little bit of product, you'll get a long-lasting coverage. To finish off, use loose powder for a non-cakey effect. Furthermore, it comes in 16 different shades to choose from. Despite being on the steeper end, this concealer works well for full coverage on the face and body. Its thick and creamy formula makes it easy to cover scars, discolouration and tattoos. Not forgetting its matte coverage which works well for oily skin. Additionally, it contains Microcrystalline Cellulose Powder which helps control excess oils on your skin. This concealer from Benefit is one of the best long-lasting concealers out there. If you don't have time to squeeze in a touch-up session in between runs, you should try this one out. From blemishes to heavy-duty dark circles, Boi-ing is sure to cover them all up while leaving you with a matte finish. Covering up dark spots and circles is no easy feat, but this concealer will give you a run for your money. The Born This Way Concealer from Too Faced uses an oil-free yet hydrating formula which doesn’t crease easily. It’s buildable and lightweight which works well with blemishes or discolouration. For best results, blend this with a damp sponge. The True Match Concealer is a correcting concealer which helps to even out skin tone. It has a demi-matte finish and is buildable up to your desired coverage. For best results, apply on top of your foundation. Furthermore, this concealer is enriched with ingredients which help reduce fine lines while being gentle on your skin. To combat skin redness from pimples, try out this Correcting Cream from IT Cosmetics. Although it’s a correcting cream, it can be used on its own without foundation as well. Besides, it doubles up as a primer as well. 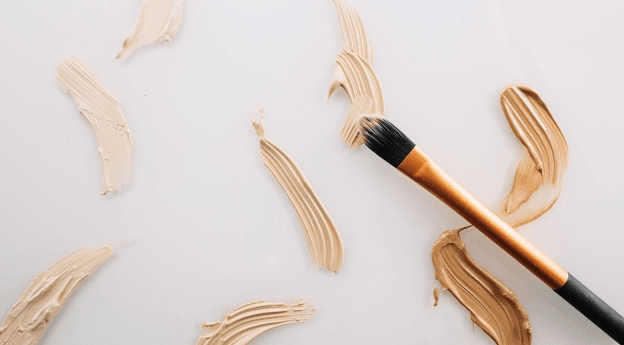 You can apply this concealer with a brush or a damp sponge to blend it out. A girl with a zest for the beautiful things life has to offer.